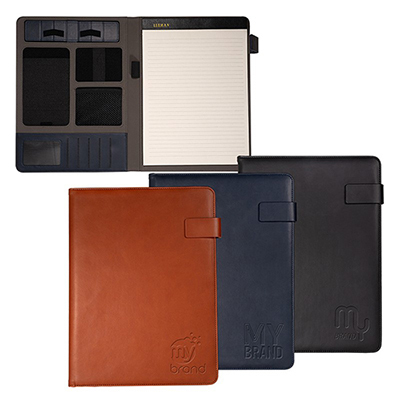 Interior organizer with 1" three-ring binder. Pen loop. 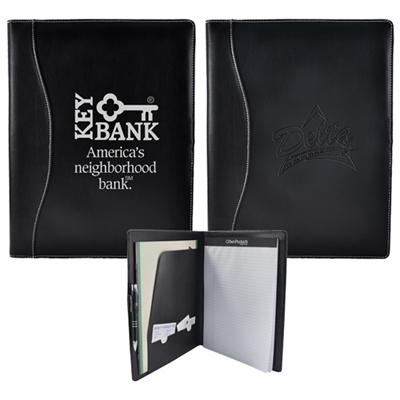 Your debossed logo will look elegant on this custom Windsor Reflections portfolio! 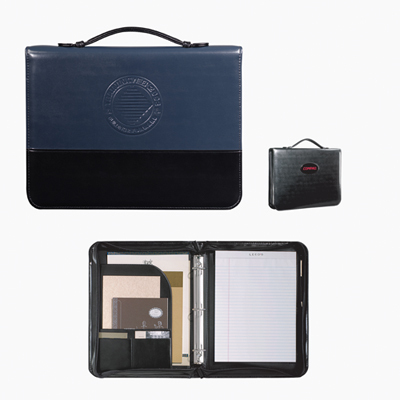 These custom portfolios have zippered closure that gives more security and its padded handle allows easy portability. 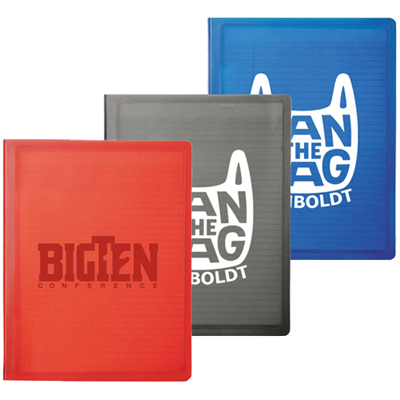 Additionally this promo item includes an 8.5" x 11" writing pad. Give your clients and esteemed future clients these amazing gifts and see what they do for your business. Your clients will be highly impressed with these products and your logo will go places! 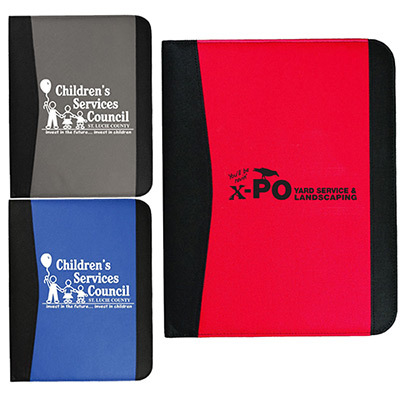 So ensure that you have your logo imprinted on these Custom Portfolios and increase your brand visibility! "Excellent item for the office. " Your debossed logo will look elegant on this portfolio!